Rich graduated from Indiana University in 1969. He received his law degree from Suffolk University in 1972 and was admitted to the bar that year. Rich was a public defender in Newark, Essex County Superior Court, New Jersey from 1973 through 1987. 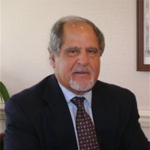 He is a member of the Monmouth County Bar Association, Sea Girt Chamber of Commerce, and Sea Girt Surf Beach Patrol. He can be found guarding the beaches in Sea Girt every summer weekend! Rich specializes in workers’ compensation, municipal court and criminal matters. He has vast court room experience in these types of matters and has appeared in these courts throughout the State of New Jersey.